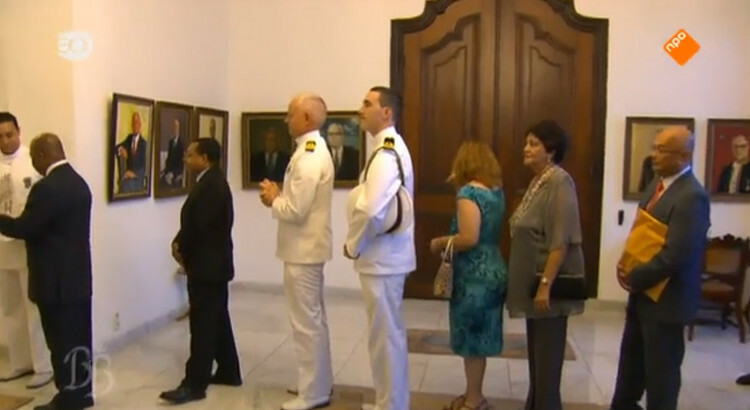 A friend of mine saw my portrait of the former Governor of Curacao on the Dutch television. Our king Willem Alexander and Queen Maxima were on Curacao and held a reception at the Governor's house where my portrait hangs in the central hall. It is really a great idea that the King and Queen probably took a look at my portrait, hopefully they will want one too!